﻿ Juventus 0-3 Real Madrid. Ronaldo's bicycle kick stuns the world! 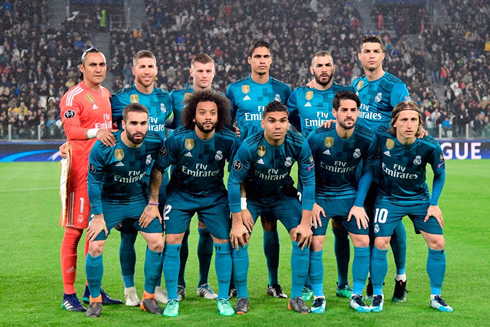 03.04.2018 » Juventus 0-3 Real Madrid. Ronaldo's bicycle kick stuns the world! And when we think we've seen it all, Ronaldo delivers us another career-highlight moment. Real Madrid visited and beat Juventus 3-0 in Turin tonight, but it's Ronaldo's bicycle-kick goal that will make all the headlines. We all agree that Cristiano Ronaldo already scored dozens of breathtaking goals throughout his career, but the one he scored tonight will probably be considered his best goal ever and one of the best ever scored in the Champions League history. 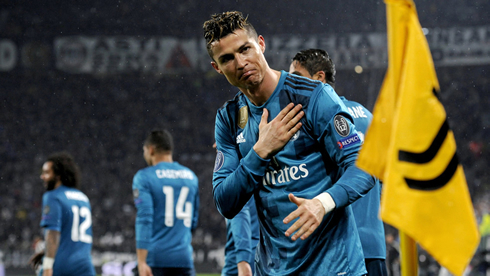 The back-to-back European Champions visited Turin for a thrilling encounter, but the hosts were surprised by a vintage Real Madrid side and the Merengues ended up defeating Juventus with a clear 3-0 win. Cristiano Ronaldo scored a double, including his wonder bicycle kick goal in the second half, while Marcelo sealed the deal making it 3-0 in the 72nd minute. His first goal after 3 minutes was impressive, popping up in the box to finish after Isco did some great work on the flank. The goal was a massive relief to Madrid, who came into Turin expecting the toughests of tests and an early goal certainly does a lot to calm some nerves. Higuain tested Navas from close range, but the Costa Rican's reflexes were on point. And Kroos hit the bar later on, but both teams would fail to score again and Madrid went into halftime up 1-0. Then it happened. 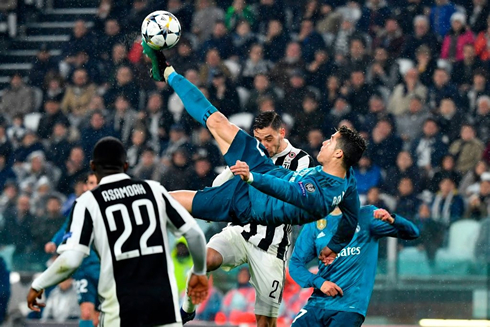 Any Ronaldo fan knows just how much (up to this point) the elusive bicycle kick has been to him. Time and time again his attempts have gone wide, high or have been mishit. When he does hit them well, usually it's called back for an infraction or a teammate gets in the way. Today however, the stars aligned. 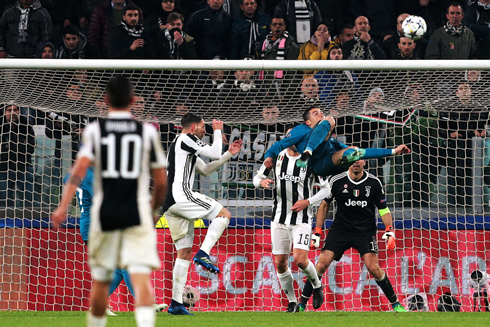 A mistake at the back gave Ronaldo the ball at a tight angle, he passed back to Lucas Vasquez but his shot was well saved by Buffon. The ball then fell to Dani Carvajal, who shielded his man well and lifted a cross back into the box. And it was the moment. 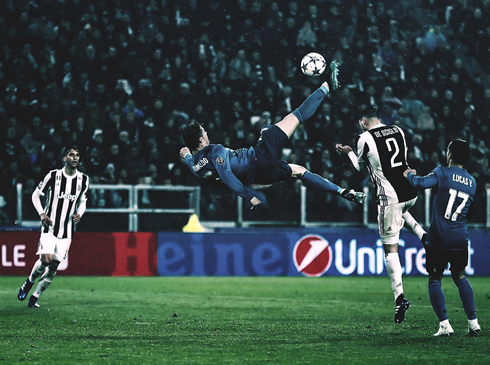 Ronaldo jumped up majestically and hit a perfect bicycle kick into the top corner. 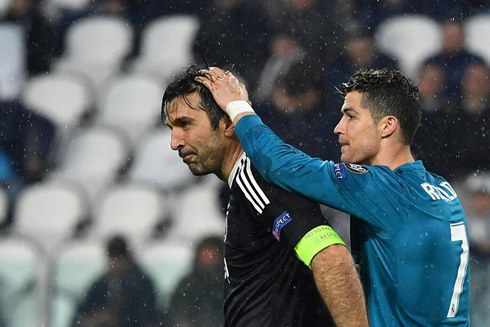 Buffon was motionless, Madridistas were speechless and the Juventus fans couldn't help but give him a standing ovation. Ronaldo jogged off as if to say "just another day at the office". What a moment, one of the most iconic in a career that's becoming filled with highlights. Dybala was sent off for a second bookable offense soon after and Madrid swooped on for the kill. Ronaldo and Marcelo combining brilliantly for the third, Ronaldo turning the creator this time. It was a magical night in Turin and Madrid could have even netted a couple more, but all in all, there can be no complaints in what was one of the greatest nights in recent Madrid history. Cristiano Ronaldo next game for Real Madrid is on April 8 of 2018 against Atletico Madrid. You can watch Juventus live stream, Real Madrid vs Atletico Madrid, Barcelona vs AS Roma, Liverpool vs Manchester City, Arsenal vs CSKA, and AC Milan vs Internazionale, all matches provided from our soccer live game pages.